A bakery in Hackney has joined forces with a Kenyan charity to promote the health benefits of sourdough bread. E5 Bakehouse, situated in a railway arch beneath London Fields station, is helping the Ujima Foundation in Kenya’s Nakuru region to provide training and employment for local orphans and to raise money for eye operations. That trainee was a doctor called Madeleine Bastawrous, who, along with her husband Andrew, set up Ujima after they spotted rising rates of diabetes in Nakuru, which is a four-hour drive from the Kenyan capital Nairobi. Diabetes can cause blindness, and as a consequence there is a growing demand for eye operations in the area. The couple decided that selling bread would be a great way to support the local community by funding eye operations and providing employment. And they wanted the bread to be healthy. Not long after that, he made his first trip to Nakuru. “I spent a couple of weeks running a training course and preaching the benefits of sourdough. Bread was never a part of the indigenous diet in Kenya, but now that it is, the bread they eat is full of oil, sugar, salt and processed flour. “With sourdough, the flour is fully fermented and there are no additives, so it is much more digestible and nutritious,” he said. 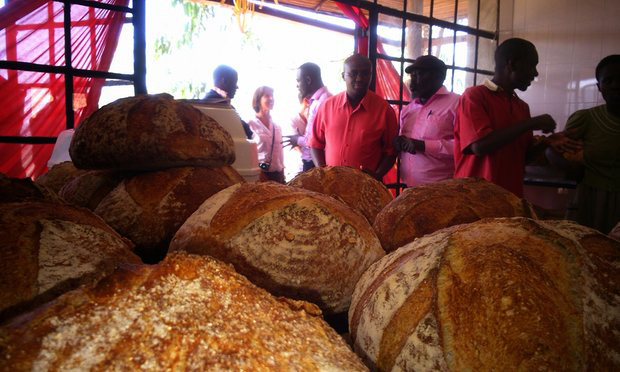 All the breads at E5 Bakehouse are sourdoughs, and the hope is that replicating the model in Nakuru will help improve the local diet. The Ujima Bakehouse is up and running, but the project doesn’t stop there, and Mr Mackinnon already has the next step planned. He said: “The ambition now is to take a team from London to Kenya to help set up a café. “The bakery is in an absolutely beautiful location, but it is quite a long and bumpy road into town, so it is not the sort of place you can just pop to for a loaf. “Andrew and Madeleine have set up a new workspace in town, so we want to go out there and help start a café selling cakes and croissants as well as sourdough from the bakehouse. 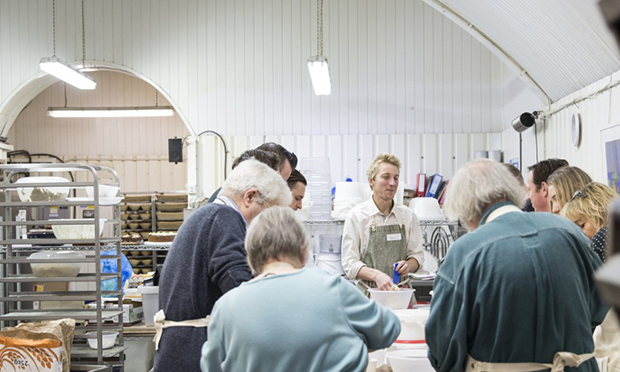 “The burgeoning middle class and the community of expats means there is a growing market out there, and all profits go into training new bakers and helping to treat people with eye problems.